Will Coinbase Go Public in 2018? Subject: Will Coinbase Go Public in 2018? 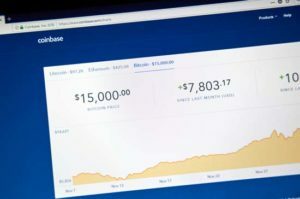 Generating $1 billion in 2017, anxious investors want to know if Coinbase will go public in 2018 so they can play the booming $245 billion crypto market. Coinbase President Asiff Hirji suggested the company could have an IPO soon but was vague about the timing in a December 2017 CNBC interview. From yesterday's (June 27) closing price of $12.82, some early investors have now lost 54.49% of their original investment.